Online registration is now closed. Please register on-site starting as early as 8:00 am on Thursday, November 15. Rosie Phillips Davis, Ph.D. ABPP, is former Vice President for Student Affairs and current Professor of Counseling Psychology at the University of Memphis. She earned a doctorate in Counseling Psychology from The Ohio State University. Her primary practical and scholarly passions are: the power of inclusion; multicultural vocational psychology; ethics; and living well in a diverse society. She currently serves on the American Psychological Association Finance Committee and the American Psychological Foundation Board. She previously served on the American Psychological Association Board of Directors, The Council of Representatives for Divisions 1 and 17, and is past President of the Society of Counseling Psychology (17). She has served on the editorial boards of several journals, including current service on the Journal of Career Assessment, and is the author of numerous articles and book chapters on career counseling and has co-edited two books. Her awards include the Janet E. Helms Award for Mentoring and Scholarship, the Authur S. Holman Lifetime Achievement Award, the Charles and Shirley Thomas Award (Division 45, 2004), the Dalmas A. Taylor Award, the National Multicultural Conference Certificate of Appreciation (2007), the APA Society for the Psychological Study of Lesbian, Gay, and Bisexual Issues (2007). Dr. Bingham has received an APA Presidential Citation, was named an Elder by the National Multicultural Conference and Summit and received the Distinguished Professional Contributions to Institutional Practice for APA Award, 2015. Dr. Davis, along with Drs. Lisa Porche-Burke, Derald Wing Sue, and Melba Vasquez is a founder of the National Multicultural Conference and Summit. Alan L. Peterson, Ph.D., ABPP, retired from the U.S Air Force in 2005 after 21 years of active duty including service as the Chair of the Department of Psychology and the Director of the American Psychological Association-accredited Clinical Health Psychology Postdoctoral Fellowship Program at Wilford Hall Medical Center. While on active duty he deployed in support of Operation Noble Eagle, Operation Enduring Freedom, and Operation Iraqi Freedom. Dr. Peterson has clinical and research experience in the areas of behavioral medicine, clinical health psychology, and combat-related stress disorders. He has conducted research in the areas of post-traumatic stress disorder (PTSD), psychological risk and resiliency, Tourette Syndrome, tobacco cessation, pain management, insomnia, weight management, and managing suicidal behaviors. He is also Research Health Scientist at the South Texas Veterans Health Care System in San Antonio and a Professor in the Department of Psychology at the University of Texas at San Antonio where he teaches and mentors doctoral students in the PhD program in Military Health Psychology. Dr Peterson is an avid ultra-endurance trail runner. Tina Runyan, Ph.D., is the Director and primary clinical supervisor of the fellowship. 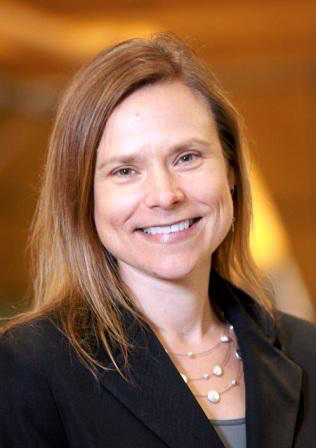 She joined our faculty as Associate Director of Behavioral Science and is the Behavioral Science Director for the Worcester Family Medicine Residency. She has extensive experience in health psychology in primary care. She has been a leader in developing integrated primary care in the Air Force and has experience in teaching and academic leadership in health psychology graduate training. Her primary clinical interests are in the role of trauma in primary care and physician wellness, including teaching mindfulness based skills to residents. Dr. Rom-Rymer currently has a national consulting practice in forensics, working as a forensic expert witness in civil litigation in which there are allegations of sexual abuse and physical abuse, sexual and physical harassment, and other forms of violence: in nursing homes, in the context of child custody litigation, in the workplace, and on pleasure cruises. She has helped to create the field of forensic geriatrics and has published articles in this area, including: "Evaluating the Psychological Sequelae of Elder Abuse," in Alan Goldstein's 2007 Forensic Psychology: Emerging Tops and Expanding Roles, published by Wiley, and "Demonstrating Trauma: Effects of Sexual Abuse on the Elderly" in Nursing Home Litigation: Pretrial Practice and Trials edited by Ruben Krisztal, Esq., 2001. Dr. Rom-Rymer is on the editorial board of the Journal of Child and Adolescent Trauma. She has recently been appointed co-chair of the Division 56 (Trauma) Inter-divisional Task Force on Ethical Practice with Traumatized Populations in Forensic Cases. Dr. Rom-Rymer is President-elect of the Illinois Psychological Association. Dr. Rom-Rymer's presidential initiatives include: broadening diversity training for psychologists and increasingly diversifying Association membership; greater involvement with community LGBT issues; greater involvement with community anti-violence initiatives; working to achieve prescriptive authority privileges for Illinois psychologists. Dr. Rom-Rymer is also a past president of the American Psychological Associations' (APA) Division 55 (American Society for the Advancement of Pharmacotherapy), Council Representative from Division 55 on the APA governing council, Treasurer of APA Division 56 (Division of Trauma), a Member-at-Large for Division 12, Section IV (Clinical Psychology, Women's Section), a member of APA's Finance Committee and Secretary of APA's Women's Caucus. Dr. Rom-Rymer is a candidate for President of APA's Division 56 and a candidate for Treasurer of APA's Division 42 (Independent Practice). Dr. Rom-Rymer had been Chief Psychologist (1990 - 1992) at the private psychiatric hospital, Charter Barclay Hospital (in Chicago), and co-Director of the Child Unit (1990 - 1991) at Chicago Lakeshore Hospital (a private psychiatric hospital). Dr. Rom-Rymer had been adjunct faculty at The University of Chicago Medical Center, Department of Psychiatry (1988 - 2001) and the Chicago Medical School (1999) and a faculty lecturer at The Massachusetts School of Professional Psychology (2002 - 2007). Dr. Rom-Rymer currently guest lectures at the Northwestern University Medical Center in the Department of Psychiatry. Lisa Blue Baron, Ph.D., J.D. As partner with her late husband Fred Baron is one of the largest environmental law firm in the U.S., Blue’s accomplishments have been nationally recognized. She has been named one of the Top 100 Most Influential Lawyers in America, one of the Top 50 Women Litigators in the U.S. by National Law Journal, and received numerous other state and national recognitions for her legal expertise. She served as president of the American Association for Justice from 2014-2015 and was inducted into the National Trial Lawyer Hall of Fame In 2015. Blue received her undergraduate degree from the University of Georgia and two master’s degrees from the University of Virginia in Counseling Psychology. After a brief teaching career, she returned to school and earned a PhD in Counseling Psychology from North Texas State University and a Juris Doctorate from the South Texas College of Law. After completing law school, Blue joined the Dallas County District Attorney’s office where she prosecuted more than 125 cases to verdict and later advanced to the DA’s Organized Crime Division. In 1985, she moved to the law firm Baron & Budd where she specialized in environmental and toxic tort law. Lisa and her husband, Fred Baron, supervised 800+ employees and managed all financial aspects at Baron & Budd, the largest environmental law firm in the United States.